Samsung releases its Phone with Tizen OS in Low budget segment, Tizen is new Linux based OS made by Samsung, phone is priced at Rs 5700, comes with 3.1 MP Primary camera, 1.2 GHz Dual Core Processor with 768MB RAM and The Tizen is lighter than Android so such configuration is sufficient for This device. Look and design of this device is like the other Samsung phone of Galaxy Star series no flagship is added in this phone, phone has metallic-finish on the side. Battery capacity is only 1500 mAh can disappointed the customer but on the basis of official site it gives 8 hours talktime. Phone’s Available Colour- White, Black, and Wine Red. 750 MB is enough for tizen to run smooth. Price is low only in 5700 INR. Many Popular applications are not available for Tizen OS such as MX player. 1500 mAh Battery with 4 inch screen phone is not a good combination. Heating problem in phone- Check the Solution for heating issue. 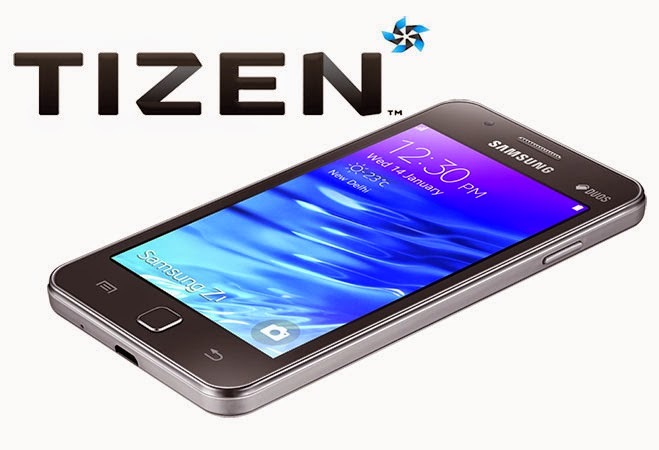 The Tizen is also based on the Linux as Android but android is developed by Google and while the Tizen OS is developed by Samsung, The phone is low budget phone preferred for the people who want i Samsung brand phone other than the Android OS. The camera of the phone is not able to capture Good pictures in low light and front cam is only VGA. But if you are not a multiple application user want a simple handset can go for it otherwise you choose android one phone in this price range.